Echo | Herons Lake Caravan Park. Works are well on the way on the LV infrastructure upgrade at Herons Lake Lodge Park in Caerwys. Civil enabling works have been carried out with over 3000m of underground duct having been installed ready for the LV distribution network. 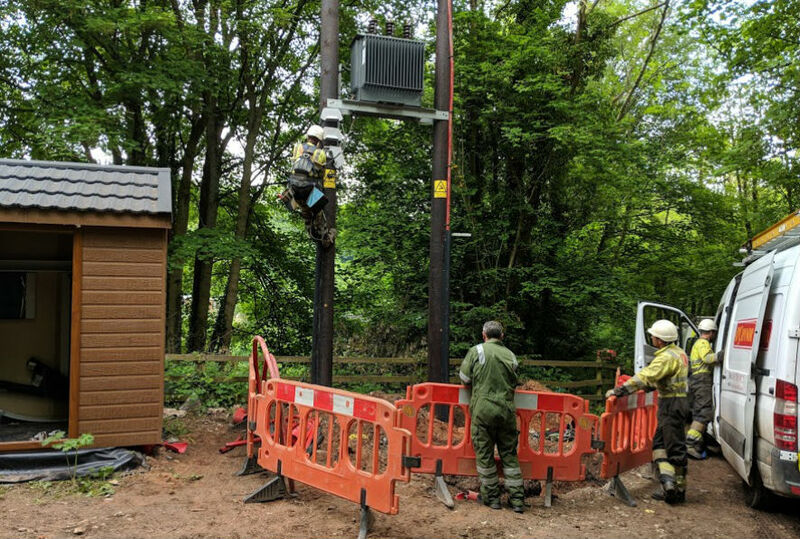 A new HV transformer and cabling has been installed to provide electricity to over 50 log cabins and has the capacity to power additional cabins as the Park continues to expand.